Fallout continues from General Motors’ Monday announcement to close several production facilities, lay off workers, and shift production from passenger cars to crossovers and pickups. Everyone and their mother has an opinion about the news. Unions, politicians, and employees are up in arms. However, former General Motors Vice Chairman Bob Lutz added a pinch of economic reality to the conversation yesterday when he appeared on CNBC. Bob Lutz called GM’s transformative decision “not silly at all.” Adding, “the hard fact is in North America…passenger cars are simply not in demand.” And he’s not wrong. Demand for passenger cars is faltering with crossovers, SUVs, and pickup trucks stealing customers. Earlier this year, Fiat Chrysler Automobiles laid out a five-year strategy focused on crossovers and SUVs. Ford also made news when it decided to eliminate passenger cars from North America in the next few years. U.S. consumers aren’t fans of sedans and hatchbacks anymore. While there is plenty of doom and gloom making the rounds, GM’s massive decision isn’t final. Yes, the Detroit automaker wants to make these closures; however, they’re contingent on negotiations with the United Auto Workers union. GM will likely use the proposed plant closures as leverage against the union. Bob Lutz also added that many of the laid-off employees would likely have new jobs available at other plants producing crossovers, SUVs, and trucks, as production in those facilities needs expanding to meet the growing demand. Many of the facilities GM wants to close, Lutz said, were “one-shift” facilities “limping along” with “low demand” and “short work weeks.” He added that many of the union workers would have job offers from other plants. 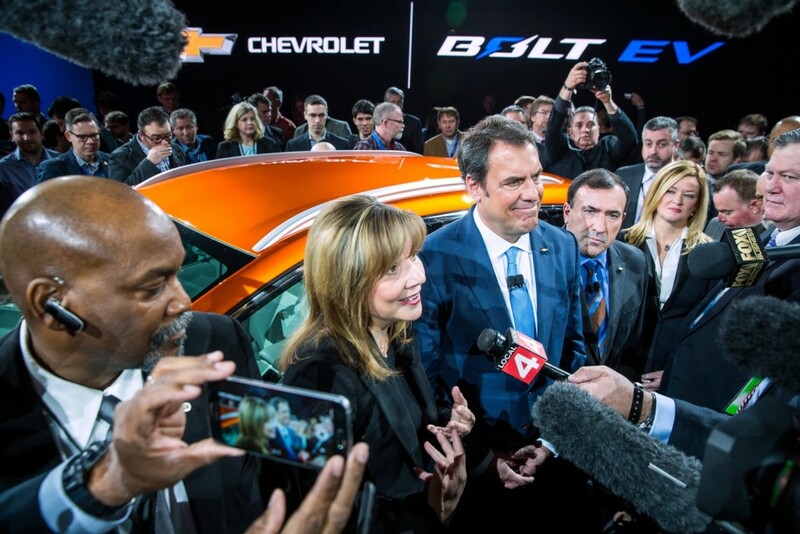 GM’s announcement is just the beginning. The UAW has vowed to fight GM at every available opportunity, using every legal, contractual, and collective bargaining avenue. Despite GM’s tone of the company sounding like it’s ahead of the market cycle, Bob Lutz pointed out that GM is the last American automaker cut multiple passenger cars. FCA announced vehicle cancellations back in January 2016, while Ford announced cancelations earlier this year. It’s the economic reality TODAY, but will you have the product line depth for when that pendulum swings back? Last time you didn’t. They simply aren’t fond of the smaller profit margins in smaller vehicles, when there is so much money to be made on the behemoths, which is what they will do until it doesn’t work anymore. And others have said it, and I’m beginning to agree that some of this might be self created as there are far more ads for trucks and SUVs than for passenger cars. Monkey see, monkey do. The only time you see the Cruze, or Impala in a commercial it’s a lame one and the cars are stationary and mentioned with 5 other models. In reality passenger cars just don’t work or fit the US life style. Try bring home a grill or a tv in a sedan. Full size cars today are smaller than the intermediate cars of not long ago. Just a few weeks ago I tried to get in my sister’s Cadillac CT or XT whatever, the full size car. I cracked my head trying to get in the damn thing. If you 5’8” or under you’ll do ok. As we all age it is not possible to place your left knee at a 90 degree angle and then lift you right leg in to get in the drivers seat. Those old knees cannot carry all that weight and twisting. This also proves the world automobile production is way over capacity but GM still sells over 9 million vehicles worldwide. GM is far from dead and only protecting the stock holders from running costly plants. I’m 6’2″ , fit in any car just fine, but I’m also 200 lbs, not 350, so if that is what you mean by American lifestyle then you are right, it probably is difficult to unfold your obese behind out of a low slung car. My co worker is 6’7″ and drives a WRX with no problem…. . Unibody construction makes better use of space than the body on frame museum pieces y’all are used to. Try it some time. I’m waiting on a dinosaur like Lutz to blame it all on Elon Musk! If Lutz had stayed on post-bankruptcy, GM would have created a more strategic product lineup, placed bets on competitive products and scrapped the languishing products that haven’t really changed since he was there. I imagine Lutz is still drawing a retainer and/or pension from GM which likely require that he be supportive of corporate strategy, so I doubt we’ll hear any real insights about how or why things went sideways. Musk is proof positive that cars aren’t dead yet, so it would be tough for any rational person to point the finger at him. In the same way that wagons and minivans lost favor, in time so will the SUV. The cute utes or crossovers have already begun this trend. If a shift back to cars was to occur, Ford could use its VW alliance for product, FCA would turn to Fiat even if that might fail again. Where would GM go for cars, to China or Brazil? GM is putting all its eggs into two baskets, the USA and China while betting the farm on electric cars and autonomy, neither of which has gained traction. Sadly Wall Street supports creative hype more than sound long term strategic planning. If Americans don’t like cars then why does BMW and Mercedes thrive here? Magirus you are correct! This is GM telling us what we will like! “You will like electrification, you will like autonomy and you will spend more on the vehicles we choose”. If the Impala and even the SS had been promoted like the pickups and SUV’s rather than existing in obscurity they would have sold more. They were great cars! The CT6? Awesome car that nobody knows about! Current Lacrosse is a Lexus fighter that GM never speaks of! Both comments are correct! This is putting all your eggs in one basket because GM wants to make $12,000 plus per truck and SUV and then babble about whats good for the environment. Mary can push her autonomy and fuel cell tech all she wants but the fact remains more people could afford that $36,000 Impala over that $78,000 SIlverado and the pendulum will swing in that Impala’s favor again! And Mary’s basket will be empty. Only GM would spend Hundreds of Millions of Dollars on developing the CT6, only to bring it out with a lame drive train, not promote it for years and then when they finally get around to producing an engine worthy of the car, they cancel it. Oh well, just write off that development money and lets go in a different direction. Who among us believes that this clown car of a management team could handle the next phase of the automobile any better. What’s Criminal is that the top clowns in this company they are killing off have been paid in just the last year alone, Barra $22,000,000; Ammann over $9,000,000; CFO Stevens over $7,000,000; VP Reuss over $7,700,000 (to head global product development. What global product? China and U.S. are all that’s left and they have virtually the same product) Batey almost $6,000,000 to head the failing North American operations. The former President of Opel was even paid almost $7,000,000 for selling out to Peugeot. The more these losers fail, the more bonuses they are awarded. In the meantime 14,300 families are let go to prop up the stock price. I’m waiting on a dinosaur like Lutz to blame it all on the person he blames for everything — Elon Musk! Soon the only Sedans you can buy will be Foreign Made. Cadillac and the others will be begging Washington for another another loan to bail them out. Screw them. My next car WILL BE foreign. For an administration that’s pro-business and anti-regulation, it seems odd that they would tell GM how to go about their business. … but President Trump has owned, operated, flipped and sold many successful businesses to have earned the right to tell an Affirmative Action hire like Mary Barra how to run her house! F Lutz too with his “Layoffs ‘Not Silly’”. Yeah, it’s not “silly”, it’s F’n CRIME!! Not “silly” if YOUR F’N wealthy!! Not to mention morally, ethically, HUMANLY WRONG! Especially at this time of year and with all GM’s known PROFITS and BONUSES, to Mary Barrassss. Biotch…. What is “silly” is GM handing off market share to the competition. Granted, sedan sales are falling, but GM could have easily consolidated the production of these sedans to fewer plants, yet they want to save a buck to waste on autonomy and EVs. Now they are giving up 250,000 sales a year which translates to about 1.5 points of market share. This should get GM to Toyota and Ford territory. GM is supposed to be the American standard for automobiles- Barra and her cronies certainly do not act like it. How about pictures of the parking lots where these plants are shutting down and lets see what these employees are driving? Right, blame the worker on the assembly line for his joblessness while the investors and CEOs laugh all the way to the bank. By the looks of it, your ride is too much of a POS for you to be rooting for the fat cats. The reality is that “Big 3 cars aren’t selling in North America” after the big 3 have dis-invested in their car development over the past several years. Funny, we don’t see Tesla, Honda, Toyota, VW, BMW, etc, removing passenger cars out of their NA lineup. Instead, we’re seeing new models and redesigns hit the streets from all the other brands. Truth is the NA car market is tightening and has less tolerance for inferior product. To me, it sounds like GM throwing in the towel — but let’s wait and see what happens to their remaining lineup. Funny how Toyota and Nissan can sell their full line of passenger cars in the U.S. I remember how GM got out of the locomotive, bus and coach business, even though those divisions were profitable. GM refused to sell Electro-Motive to Caterpillar when they had it for sale and now Progress rail owns it. Progress Rail is a division of Caterpillar. Detroit Diesel, Allison, Terex……. all sold. 20 years from now GM will just be a website selling Weatherpack connectors and On-star subscriptions. Maybe cars have become to accessory laden for someone just looking for reliable, affordable transportation. Used to be that if you wanted all the fancy, unnecessary gadgets on your vehicle, you had to order them. Now days you get them whether you want them or not. The choice is no-longer the buyers. Cutting out the production of cars completely is crazy. If certain models aren’t selling, cut back on production. I’d rather have to build one “on demand” then sit and look at a lot full of unsold vehicles. Build it and they will buy just does’t float any more. I would bet that just building trucks and suv’s will be a disaster and more and more people will be turning to foreign cars. It’s a no win proposition. As a former Aussie GM-Holden employee, we got plenty of reasons and friendly advice from you blokes when they closed our manufacturing facilities down a couple of years ago. Well, all I can say is Welcome to our world! I hope your workers weather the storm better than ours have. Majority of the production workers here have never found work. Be prepared for tough times ahead. I’ve been laid off myself and it is not a comfortable feeling. I was training people from other countries that eventually took my job? Why you may ask? The business phone system was I worked on was becoming obsolete and being replaced by IP phone systems that was more profitable and better technology. When IBM stopped making type writers all those manufacture jobs went because no profit and demand dropped because the market was changing to word processors and computers. The US sedan market is shrinking but those that want one usually stay loyal to their brand. US sedan buyers usually stay with there loyal brand when changing to SUV’s. Funny this doesn’t seem to be affecting the German, Asian and South Korean car companies enough to cull most of there sedans. Mazda just announced a new 3, Toyota introduces a new Corolla hatch followed by a sedan, Hyundai brings another Genesis sedan to market and Kia bows in a revamped K900. What does GM do? Let the current Impala stagnate with virtually no changes for 6 years. Redesign the Cruze with styling similar to a previous generation Honda Civic and force stop/start down your throat. Then there is the LaCrosse which was redesigned to little fan fair back in 2017 also with non defeating stop/start, no hybrid version, a poor lineup forcing the consumer into a 50 grand car to get simple things like auto braking, navigation or radar cruise control. In fact not one of these cars give the consumer any type of current safety items on the lower trim levels. You have to move up to a top expensive trim and then pay extra for an unwanted option package. The current Malibu is badly outclassed with the lowest powered engine in it’s class, cheap plastic hubcaps on the bade model, no safety gear and sub par interior furnishings. The 2019 Cruze MCE was an answer to a question nobody asked and a waste of money knowing full well that they were killing this car off anyways. Ans that brings me to the Cadillac flagship the CT6. The amount of money poured into this car was huge and then they gave it an MCE and spent even more on two new engines. Now it’s on the chopping block meaning cadillac now had zero competition for Audi/Mercedes/BMW or even Hyundai/Kia for a full sized sedan. The incompetence of this company is beyond reproach.